Here at CWS, we believe in a tomorrow which is healthier and safer than today. It’s something we work towards each and every day. Here at CWS, we champion hygiene and safety with our solutions and products. For our customers and our employees alike. Awareness of sustainable corporate management is deeply rooted in the way we operate day in, day out. After all, CWS doesn’t just stand for products, but for products in the rental service – recycling management is a key element of our business model. Hygienic reprocessing is just as important as the long service life of the products. 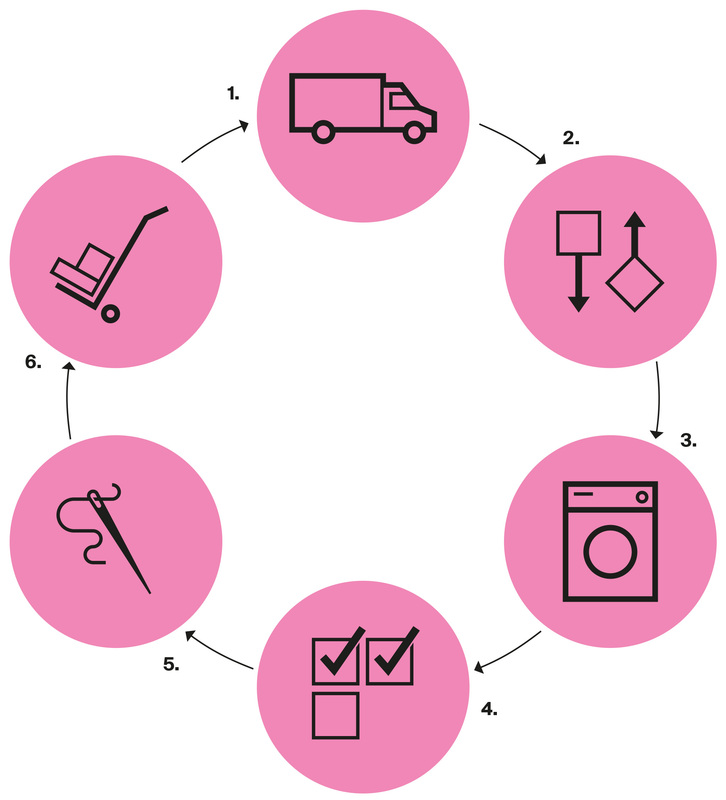 To achieve this, we have created a resource-friendly service cycle which can be completed multiple times by towel rolls, workwear and mats. When developing new products with a shorter life cycle, such as toilet paper, we look for alternatives. For example, we apply the cradle-to-cradle principle, which means that at the end of their life time, products are returned to biological cycles as nutrients. Collection: At regular intervals, our service drivers collect the rental textiles from our customers for reprocessing at our laundries. Sorting: At our laundries, the textiles are sorted into different wash programmes so that each item gets precisely the type of cleaning it requires. Washing + drying: We wash around 174,000 tonnes of textiles per year at our laundries in Europe, focusing always on maximum resource efficiency. Quality control: The quality of our products is under the constant scrutiny of our staff throughout the service cycle: during collection and delivery and at all stages of laundry processing. Repair or replacement: Areas affected by wear are repaired at the laundry. If repair is not possible, the item is replaced. Delivery: The items our service drivers return to customers are freshly washed, dried and quality controlled.